MED Response tactical first aid concepts have been developed through 20 + years of paramedic education and tactical emergency care experience. Our instructors are current and experienced providers with backgrounds that include ambulance, combat and industrial care providers. MED Response delivers training in Tactical First Aid that provides you with the skills needed to combat “preventable causes of traumatic death.” Students will learn to stop traumatic bleeding from gunshot and knife wounds using the latest pressure bandages, arterial tourniquets, wound packing and haemostatic agents. This course will also cover rapid patient assessment, respiratory distress and the use of a vented chest seal and the management of hypothermia. 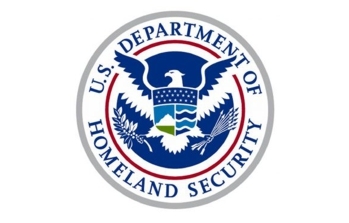 MED Response is the authorised licensed provider of the US Department of Homeland Security, Stop the Bleed campaign in Australia. 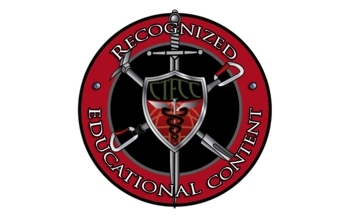 We are also an approved instructor for the American College of Surgeons, Committee on Trauma, bleeding control, a program that is now throughout 40+ countries. We issue this internationally recognised certification from the Committee on Trauma as part of our Tactical First Aid course along with a Statement of Attendance for Tactical First Aid. 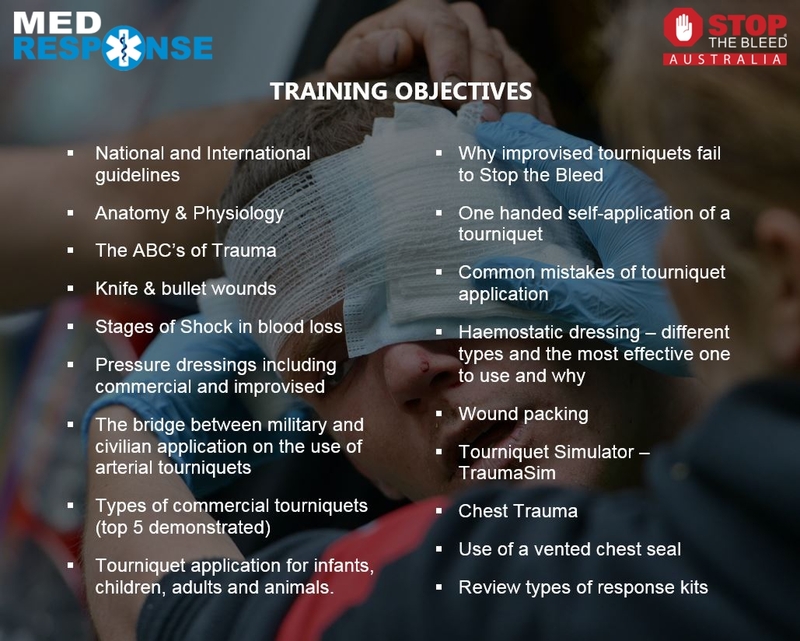 Our Tactical First Aid course complies with the latest Australian Resuscitation Council Guidelines including Bleeding Control by the use of (1) Direct Pressure – (2) Arterial Tourniquet – (3) Haemostatic Dressing: ANZCOR Guideline 9.1.1. The Australia and New Zealand Counter-Terrorism Committee (ANZCTC) strategy for Protecting Crowded Places ensure that owners and operators of crowded places, which include businesses, major event organisers, sporting clubs, charities, community groups, religious groups, and local, state and territory and Commonwealth governments, have the primary responsibility for protecting their sites, including a duty of care to take steps to protect people that work, use or visit their site from a range of foreseeable threats, including the threat of terrorist attack. Tactical First Aid training helps you comply with national guidelines.